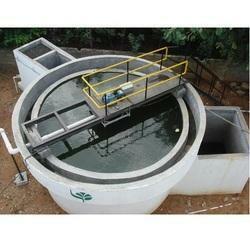 Leading Manufacturer of etp aeration tank and etp anoxic tank from Chennai. Canadian Clear is the company, which provides a complete solution for Effluent Treatment, recycling and zero discharge. Canadian Clear offers an innovative technological solution for achieving ‘Zero Discharge’ and efficient water recovery for reuse. With an effective “Research & Development”, we have concluded that we require a combination of technologies to achieve effective “Waste Water Treatment” by implementing high end technologies.